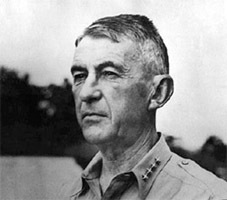 Michael J. Sombar, Fergusson Island, N.G. 1944. 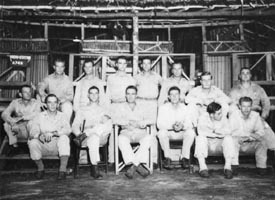 Staff of the first Alamo Scouts Training Center, Fergusson Island, New Guinea, Jan 1944. 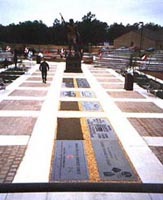 Front (L-R): John McGowen, Preston Rowland, Richard Canfield, Frederick Bradshaw, John Polk, Michael Sombar, Fred Sukup. Back (L-R): William Barnes, Milton Beckworth, Mayo Stuntz, Daily Gambill, Henry Chalko, George Thompson, Carl Moyer. 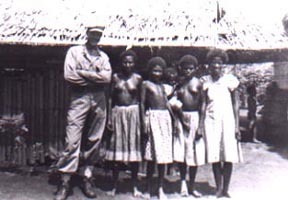 Captain Mayo S. Stuntz with the Duigi Family at Kalo Kalo, Fergusson Island, N.G., March 1944. 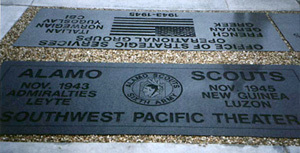 Alamo Scouts Plaque at ARSOF, Fort Bragg, N.C.
U.S. Army Special Operations Forces (ARSOF) Memorial Plaza, Fort Bragg, North Carolina. 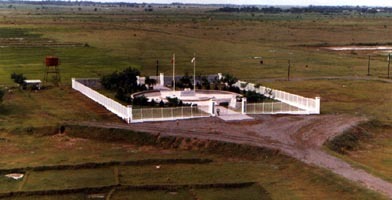 Cabanatuan POW Camp Memorial, Present day. 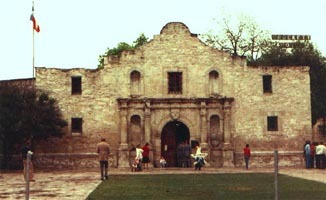 The Alamo, San Antonio, TX. John Philips & Bob Ross. 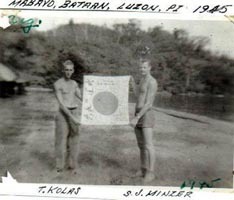 Tommy Kolas & Stewart J. Minzer display a captured Japanese flag. Mabayo, Bataan, Luzon, P.I., Aug 1945. 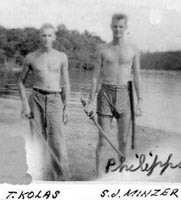 Tommy Kolas & Stewart J. Minzer, Luzon, P.I., Aug 1945. 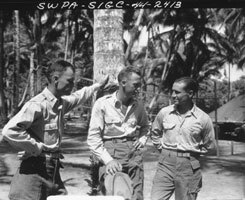 L-R: 1LT Milton Beckworth, 1LT Gean Reynolds, and then Executive Officer, Major Gibson Niles at the ASTC at Hollandia, D.N.G., Aug 1944. 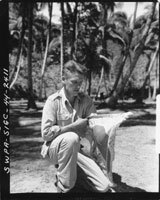 Michael J. Sombar, Fergusson Island, N.G., 1944. T/4 Denny M. Chapman holds a captured Japanese flag. New Guinea, 1944.